I've been looking forward to meeting the Lopp again. Paying more attention, seeing what I can learn about these little people. 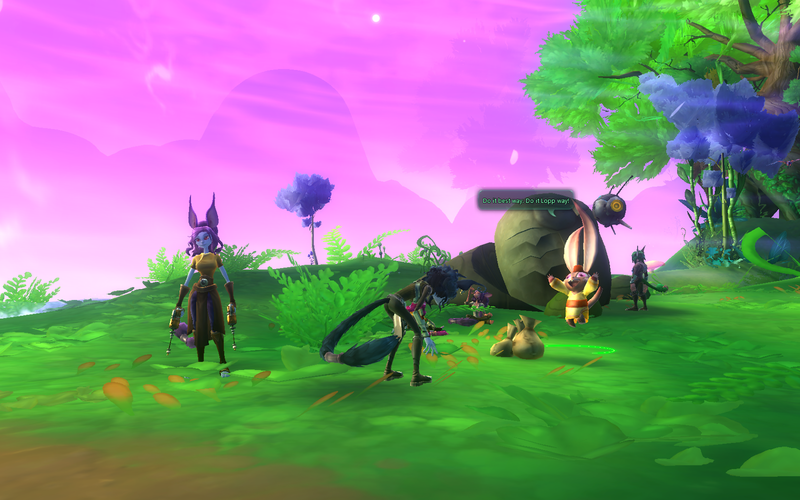 When I got to Woodhaven the Settlers had been hard at work and one of the improvements was the presence of a Lopp who is an "Apprentice Path Helper". When I talked to him I got a 9 minute buff for Xp gains on my Path. Other comments were "Listen to Lopp, then search for shiny." "Here, here! Use technique. Now do better on Path." Granted this isn't what I was looking for, but I'm happy all the same. I love the Lopps.